Recently I wrote an article entitled The Most Dangerous Creation In The History Of Man. The article covered the emergence of Bitcoin; an electronic open source peer-to-peer currency that has no central banking server, is untraceable (when proper steps are taken), and essentially can not be taxed through coercive measures. The article makes the point that if a currency can not be taxed and controlled, eventually it will topple the coercively funded fascist control grid you call the modern State. Read more about it in this Bitcoin forum post that explains it in more detail. It is a tad confusing if you are not familiar with how currency markets work, but not to worry, it is not as intimidating as it sounds. 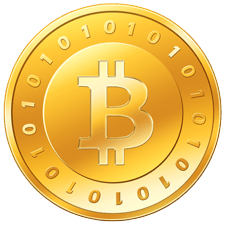 Bitcoins are generated on a logarithmic scale by dedicated “miners” who run software that generate the complex hash codes which make up a Bitcoin. Bitcoins can not be artificially inflated and require real resources (electricity and time) to produce. 1. It is impossible to artificially inflate the supply of Bitcoins in existence. They are produced at a known steady rate, the supply of which will eventually top out. 2. Bitcoin transactions are made for the web! It is impossible to actually ship gold across a wire. The best one can do is use a medium that represents gold, such as shares of GLD, and trade those as a currency. Clearly this leaves room for inflation of the money supply by unscrupulous bankers. When a person transacts in Bitcoins, it is the equivalent of actually sending gold across a wire. The unreproducible currency itself is transacted with, unlike a paper currency that represents a commodity. 3. Bitcoins can not be confiscated since the files they reside on can be replicated and hidden in USB keys or anonymous servers. 4. The peer-to-peer nature of Bitcoin makes it as impossible to stop as BitTorrents. Governments would have to shut down the web to stop it. 6. Obviously they are lighter, easier to transact with, and far easier to secure than gold bullion. Let me repeat: Bitcoin IS NOT A PONZI – it is the same as if people were digging up gold nuggets out of the ground and then trading them as money. Any claims that early adopters are simply promoting this as a Ponzi are like claiming people who were promoting buying Apple’s IPO were promoting a Ponzi. Bitcoins use a 256 bit public/private key encryption algorithm that has never been cracked in practice and is considered secure by the NSA. Bitcoins CAN NOT BE ARTIFICIALLY INFLATED. Total Bitcoin production will TOP OUT in the future meaning NO NEW BITCOINS WILL BE CREATED BEYOND A CERTAIN DATE. If you have additional concerns, please take the time to research the answers on your own. Don’t blindly dismiss it because of a concern that could easily be addressed with some simple research and questioning of those who are current users of the system. Anyone who has a thorough understanding of Austrian economics should immediately recognize the inherent benefits of Bitcoin. Bitcoin is the equivalent of electronic gold. Even better than gold in some respects. Why Do People Want A Gold Standard When History Shows Us It Does Not Last? That said, lets go through the process of a common user setting up a Bitcoin account in an electronic bank and then purchasing some Bitcoins with US Dollars. Then we will buy an item using the Bitcoins we just purchased. Check out OKPay.com for a payment processing service that accepts Bitcoins and translates them directly into an e-wallet that can be accessed by a Master Card debit card anywhere in the world. Step 1: Setting up a Bitcoin wallet. There are a few ways to set up a wallet. One way is to install the Bitcoin client on your PC. The client will automatically create a wallet address that you can accept payments to or send payments from. A wallet is simply a datafile that stores your currency. Transactions to and from a wallet are sent via encrypted peer-to-peer network and are processed across the network, meaning there is no central banking server that a person needs to log in to. A good idea is to have multiple wallets and multiple backups, so if one wallet is compromised or destroyed on accident, your remaining money will not be effected. People using Bitcoin can send Bitcoins to any wallet address by entering it into their local PC client wallet which has a tab for sending payments. It’s that easy to create a wallet and use it! Getting Bitcoins to spend is a touch more complicated, but it is still a fairly straight forward process. To get Bitcoins to spend, the most common way is to purchase them on the open market. Since there is no central banking server or exchange, one must purchase them on a private open market exchange. The most popular exchange is Mt. Gox. Using Mt. Gox, we first create a user account on the site. Then we need to add some funds to it in order to purchase some Bitcoins. After you’ve created an account and logged into it, click on the “Add Funds” button. In order to add funds to your Mt. Gox exchange fund, you have a few options. I will be using a Dwolla account for this example. After creating an account on Dwolla, you can add funds to your Dwolla account directly from whatever bank you chose to bank at by adding a bank account to your Dwolla account. You’ll need to verify the bank account by entering in the amount of the penny transactions Dwolla sends to your bank to verify that you actually own the account in question. It may take up to 72 hours for Dwolla to send the transactions and for them to show up in your bank transaction history. Bookmark this page and return later if you don’t already have a Dwolla account. Clicking the link that represents your account number on the Mt. Gox “Add Funds” page under the Dwolla payment method will automatically bring up Dwolla with the appropriate transaction to Mt. Gox already formatted. All you have to do is enter in the amount you wish to add to your Mt. Gox exchange fund and complete the transaction. After you’ve got some funds in your Mt. Gox exchange fund, you’ll be able to buy Bitcoins on the open market. On the Mt. Gox site, click the “Buy Bitcoins” link on the main page. The easiest and fastest way to get coins is to simply purchase them at the current asking price, which at the time of this posting was $9.28001 USD for one Bitcoin. Mt. Gox explains how the trade transactions work here. When buying Bitcoins, your Mt. Gox account will be debited the amount your order filled at and the Bitcoins will be sent to the address of the wallet of your choice. Congratulations, you now have some Bitcoins to spend! note: It is recommended that you use a different wallet address to receive and send Bitcoins each time you make a transaction. This is not required, but it does help maintain your anonymity by making it harder to trace your transactions through the block chain. If a vendor knows your identity because you purchased a product from them, and you have used the same wallet address for all your transactions, the vendor would be able to see the entire transaction history for your wallet by looking at the block chain. Look for the “New Address” button on the bottom of your Bitcoin client to get a new address. A good practice is to keep at least two wallets, one as a “current account” for everyday transactions and one as a “savings account” where you store the majority of your Bitcoins and keep off-line. The “savings account” wallet should be backed up in encrypted form only, and all plain text copies of this wallet should be erased. In case someone gains unauthorised access to your computer (either by physically stealing it or by exploiting a system vulnerability via the internet), they will only be able to spend the coins in your “current account” wallet. For Windows, the built-in command cipher /W will shred all previously-deleted files. Rwipe or CyberShredder can securely delete individual files. Make sure your TrueCrypt password is at least 12 characters long. 8 character passwords can be cracked easily by brute force hacking attacks. If you really want to do some super secure transactions using Bitcoin, use the Tor web browsing network that hides your IP address from online identities to do your shopping and communicating. Tor is a free open source project. Learn more about it here. Then follow the directions to anonymize your transactions here. There are other ways to acquire Bitcoins as well, such as mining for Bitcoins or purchasing them directly from other holders using sites like PayPal. You could literally put up a post on an internet forum and ask people if they will sell their coins to you for a direct transaction through PayPal. Mining for Bitcoins is a bit more complex and your average user shouldn’t even worry about it. 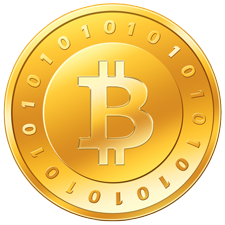 For more information on mining for Bitcoins, look here. It used to be that a single PC could effectively mine the coins, but today, it requires a collective pool of computers or a powerhouse server to be able to mine coins at an economically efficient rate. Mining coins is a commercial enterprise that requires excessive resources, just like mining for gold does. Sites currently accepting bitcoin as payment. Electronic Frontier Foundation article on Bitcoin. Anyone may freely distribute this article or use any portion of it as they see fit. I encourage you to do so. I have no stake in promoting this. I am not being paid to write this. I am not receiving a commission for writing this. I am staking my site’s reputation on promoting this because I feel the positive benefits to humanity that can arise from this currency demand that it be given public attention. This entry was posted in BITCOIN and tagged BITCOIN, cryptocurrency, Free Money. Bookmark the permalink. Ideally the concept is to rovmee the mess that has been created with factional reserve banking. Right now so much power is in the hands of the central banks. This power gives them the ability to control the amount of currency that is in circulation. In essence money is created out of thin air with no weight to it like the gold standard created. Money is built on trust in the value of that currency, which is very scary. You can even see in recent times how this type of system has created massive problems and will only get worse as time goes on. The only way I personally feel that currency can be fixed since we left the gold standard is to create a new currency with a relative value unit assigned to it. The relative value can be tied to something tangible. To supply a certain good or service it requires certain resources. Those resources being natural, human and others. For example it takes a specific amount of resources to produce a car. Machines, equipment, people working on it, natural resources like metal, plastics and time. These factors can be used to produce a RV for that car. Unfortunately I think there is so much money in circulation, that it would be near impossible to go back to the gold standard as there may not be enough gold available in circulation to match out the currency to. Why not create a balance of the commons of ALL available tangible resources and not just gold?The concepts I like of BitCoin are the fact that there is no central authority for currency. What you produce is what you own. You actually own that currency that you have produced using your resources and it has value based on the fact that others had to go through the same create that currency as you did. The idea of using CPU cycles is very geeky and not sustainable. The idea though that you have this resource and by using that resource you are producing something that holds value amongst those doing the same type of work place the value and trust in that currency. So when you go to work based on your education, work experience, skills, time spend doing your job, the actual work being done and even the value your employer feels you are worth to them can all be used as factors. That value of currency that you produce has no value that is set by factional reserve banking and the amount of currency in circulation. It is based on a true tangible asset like the gold standard used to be.Just my two cents.